The Red Stars earned its league-record 10th draw after a battled 2-2 scoreline against the Portland Thorns. After a hard-fought match, the Red Stars ended a 1-1 draw with North Carolina Courage. Sam Kerr notched the equalizing goal in the 64th minute. The Chicago Red Stars vs. Sky Blue FC match set for July 28 has been rescheduled for Tuesday, September 4 at Toyota Park. The Chicago Red Stars forward and Australian international is among the shortlisted nominees for the 2018 Best FIFA Women’s Player Award. Australian international and Chicago Red Stars forward Samantha Kerr added another accolade to her collection, taking home the ESPY award for Best International Women’s Soccer Player. The Chicago Red Stars announced today an update on the status of defender Arin Gilliland. The Red Stars will look to get back on track after a loss when they travel to New Jersey to take on Sky Blue FC. The Red Stars will travel to North Carolina to take on the Courage in another mid-week match on Wednesday, July 4. The Chicago Red Stars will welcome Utah Royals FC at Toyota Park for the first time this season, kicking off on Saturday, June 23, at 7 p.m. CT. The Chicago Red Stars announced today that the club has signed U.S. Women’s National Team midfielder Morgan Brian for the remainder of the 2018 NWSL season. 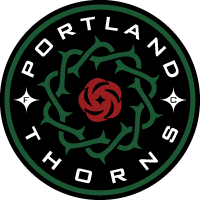 The Red Stars play host to Portland Thorns FC for the second time this season. The match will take place on Saturday, June 16, at Toyota Park. Halfway through the season, the Red Stars first win in since the middle of April after a 2-0 victory against the Washington Spirit. The Red Stars lost their second-consecutive game to Orlando Pride, falling 5-2 at Toyota Park. Sam Kerr scored both goals for Chicago. The Red Stars earned a point on the road after battling to a 0-0 draw against Seattle Reign FC. Chicago continues its undefeated streak on the road. The Red Stars came back twice to draw Houston 2-2 at home. Sam Kerr notched her second goal in two games, while Sofia Huerta tallied her third goal of the season. The Red Stars look to put an end to the Courage’s undefeated season when they travel to North Carolina on Sunday, May 6, for both teams’ first duel of the season. The Red Stars ended their undefeated streak after falling to Orlando Pride 2-0 in the first contest between the two teams in 2018. The Red Stars hope to stretch its undefeated streak to five games when they play host to Orlando Pride in a mid-week matchup this Wednesday, May 2. After nearly a month absence, the 2017 NWSL MVP and 2018 Young Australian of the Year, Sam Kerr, has returned to Chicago and will immediately be placed back on the roster for the Red Stars. Throughout April, Kerr competed with the Australian National Team in the 2018 AFC Women’s Asian Cup. During the group stage, Kerr tallied three goals, helping propel Australia to top Group B, ultimately qualifying for the 2019 FIFA Women’s World Cup in France. During the Semifinals, Australia and Thailand were forced to a penalty kick shutout, where Kerr scored the game-winning penalty to send the Aussies to the Final. Recently, Kerr has been a crucial part in leading Australia to a sixth-place FIFA Ranking, topping the Asian Football Confederation (AFC) above international women’s powerhouses in Japan and Korea DPR. Not shy in the NWSL, Kerr experienced her best year yet during the 2017 season with Sky Blue FC. The star forward reached feats no other player has reached since the inception of the league, scoring the most goals in a single season (17) and the most goals in a single game (4). She currently holds the record for most goals in the NWSL with 43, surpassing soccer greats like Carli Lloyd, Alex Morgan and Christine Sinclair. With Kerr’s return, Erin Yenney comes off the roster as a National Team Replacement for the Red Stars. 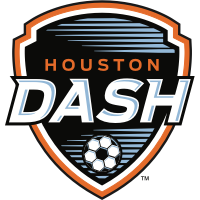 The former University of Louisville midfielder earned 23 minutes of play, including time during the season opener in Houston, and struck a shot on frame that hit the crossbar. After a road trip to Washington, Kerr and the Red Stars will return to Toyota Park for their second midweek game on Wednesday, May 2, to take on the Orlando Pride for the first time this season. Kickoff is set for 6:30 p.m. CT and will be broadcast live on NWSL app and go90 app.